On May 19, 1886, St Joseph’s School, Uralla, opened its doors to students. There were seventy pupils. The school was initially run by four Sisters of St Joseph. The school, Convent and Church were built on land once farmed by Mr W. Ryan. The school building was built behind the Convent with timber from the old church in Queen Street. In 1888 there were a number of boarders. The girls were mostly from farming families. By 1890 the boarders had increased to twenty. The curriculum included business training, music and several of the Arts. The Sisters had notable successes in the scholastic field. In 1896, Mother Mary MacKillop paid a visit to the school. She wrote in her dairy on Wednesday 29th April 1896 that she “was very pleased with the school and children”. While Mother Mary was here she prepared an exercise book for a school examination. Sister M. Agnes gave the children a half-day holiday while Mother Mary was here. Sisters Benigna, Josephine and Donatus were the other Sisters at the Convent. There was also Postulants. Of the eighty-seven pupils at the school, only sixty-seven came from Catholic families. There were also four music students besides the students from the school. There were twenty boarders and a total pupil enrolment of eighty in 1906, so an additional Sister was appointed, making five in residence. The original wooden classrooms were becoming overcrowded. 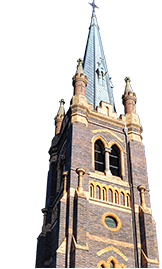 In 1911, Uralla was appointed a separate Parish from the Roman Catholic Parish of Armidale, with Rev. Father McGrath the first resident PrieSt With enthusiasm and with the backing of the whole Church he immediately planned the building of a new brick school and also a presbytery. On Sunday June 16, 1912, the foundation stones of both buildings were laid by His Lordship Dr. P. J. O’Connor, D.D. The buildings were erected by Mr J. P. Henry (jnr.) and when completed were blessed ready for the new school year, 1913. These buildings were a large undertaking and many fundraising concerts and games nights were organised. As early as October 1910, a grand social was held in Mr C. Nelson’s new wool shed (Hillcrest) to begin the many efforts and following the Foundation Stone Ceremony, a banquet was held, tickets for which were five shillings each. The children of St Joseph’s performed well at their school work as well as drill and dumbbell exercises. At the break-up celebrations at the end of the year, a concert was held where plays were presented by the children. Having being examined earlier, prizes in the following sections were awarded: Religious knowledge, good conduct, highest total marks in each class, spelling, arithmetic and general improvement, history, reading, writing and book-keeping, geography, sewing, recitation, composition, painting and tables. The Sisters also conducted classes for the benefit of the youth of Uralla. Business principles, bookkeeping, shorthand and typing, were taught at various levels. Also pianoforte and violin lessons were conducted to the London College of Music and the conservatorium standards. With the advent of the motor car and faster transport, the boarding school for girls closed about 1920. St Joseph’s Convent, 23rd March, 1939 . . . Bishop lays foundation stone. The laying and Blessing of the foundation stone of the new Convent was performed by Bishop Coleman, who was accompanied by the Administrator of Tamworth Parish, Dr. Dunne. There was a fairly large gathering of parishioners. Following the Blessing of the stone, the gathering adjourned to the school hall where Father P. Condon welcomed His Lordship and Dr. Dunne. As a result of the successful appeal launched twelve months ago, he said, “they are now able to proceed with the construction of what would be an imposing structure and one that would fulfil the needs of the Sisters”. The old building had been constructed fifty years ago. The Sisters were second to none as teachers and the Parish was grateful to them for their complete educational training. Mr W. J. King, President of the Holy Name Society, also welcomed the visitors and paid tribute to the work of the Sisters. Bishop Coleman also expressed his thanks for the welcome. It was fifty three years ago that the first band of Sisters of St Joseph had been welcomed to Uralla. About 100 pupils were at present enrolled and further facilities would be needed in the near future. In praising the work of the Sisters, His Lordship said that the parishioners were paying a very deserving tribute of gratitude to those great women, Daughters of the Cross, for their fifty years spent in training the youth of Uralla. The Sisters realised that for education to be complete, it must reach the heart. It must form character and virtuous habits. Their work was never ended in the teaching of His Word. Mr J. P. Henry, President of the St Vincent de Paul Society, said he deemed it an honour to be entrusted with the erection of the Convent and would see that it was well and faithfully done. The open verandah was enclosed and the sleeping quarters insulated in 1977. The most recent period of our school’s life has been one of great change and growth. Perhaps the most important change that has taken place is the transition from Religious to lay principalship in 1984. This ended a glorious era of the school’s history. For 99 years the Sisters of St Joseph worked to educate the children of Uralla and established an educational tradition which is being faithfully carried on under the leadership of Mrs Catherine Lawler, the first lay principal of the school. The period 1974-81 would have to be regarded as a time of great change, as under the leadership of Sr. Anne Maree (1974-75) and especially under Sr. Ursula, the school buildings were modernised to almost their current level. When Sr. Anne Maree arrived, the school’s library was located in the old church. By the time Sr. Ursula left in 1981, the library had been relocated to its present position in the old convent building. It was in 1976 and 1977 that the most dynamic changes occurred. In 1976 renovations changed the existing style of the original convent building to create more efficient use of space for classrooms, library and staff room. It was during this time that the windows were replaced with aluminium frames and the ceilings lowered, These renovations were not restricted to the old convent building but extended to the main school block. Up until 1977 a stage existed in what is now the infants and assembly rooms. The stage was used by Mrs Sylvie Rose (1974-75) as a classroom, for the school’s enrolment was well over one hundred pupils. This was totally unsatisfactory and the stage was demolished to create the infants’ room and the assembly room. The trap doors to the stage are still part of the infants’ wall today. Prior to 1977 all the classrooms had bare floor boards and small windows. Sr. Ursula, with the help of the P&F and Parish, had the rooms carpeted and the ceilings lowered and the windows remodelled to allow more light in the class­rooms. The windows saw what is thought to be their first curtains in 1978-79. The renovations forced the staff and pupils to conduct classes in the old church in what was until 1986, the tech room. The renovations continued with the demolition of the old toilet block and the construction of the current block, largely through the encouragement of Fr. G. O’Connor, which was opened in 1981. Sr. Connie continued the renovations by constructing the principal’s office and enclosing the port area. Prior to 1983 the principal’s office was in the storeroom at the back of the 3/4 room. This was once the entrance to the school. The spirit of renovation has continued with the installation of the first hot water system in the staff-room in 1986. The school is currently looking into the possibility of further renovations. Sr. Ursula would have to be regarded as a most inspiring person, for it was under her guidance that much of the school was renovated, modernised, and made more comfortable for staff and students. Thanks to Sr. Ursula the school’s first telephone was installed in April 1979. Prior to that the phone was in the convent. And there was Sr. Ursula’s possum: “Sister Ursula has had a possum in her classroom. A man from Armidale came and caught it. Bill Daunt will look in the roof tomorrow to see where it got into Sr.’s room”. (From Minutes of General Meeting, St Joseph’s P&F, 6/5/79). Sport has always been a part of St Joseph’s and this twenty year period saw a great promotion of sport. In 1975 the P&F approached the Shire and the local clubs to raise funds to construct the practice cricket nets on the land adjacent to the Uralla swimming pool. All groups approached offered money and manpower to aid its construction. The children of St Joseph’s successfully represented the school in hockey, basketball, athletics, and netball. The sports uniform was changed in 1979 from orange to green stubbies and gold T-shirts for boys and girls. This was further changed in 1985 to gold blouse and skirt for the girls in senior grades. The annual school sports carnival was more enjoyable in 1979 with the donation of sports trophies from prominent families and businesses in Uralla. The Carlons were perhaps the most well-known of the trophy donors, as their connection with the school goes back almost as far as the school itself. Like the school buildings, the school uniform too has changed. In 1975-76 the girls winter uniform changed from the old serge tunic to blue slacks, white blouse and school tie. Our uniform is now bottle green. It has been in this period that the St Joseph’s P&F has come into their own. Established in 1952, it was not until the 1960’s that they began to make a big impact on the school. With their assistance and dedication the ex-presidents and their committees have helped modernise and equip the school. They made major contributions to the purchasing of carpets, curtains, heaters, phones, photocopiers, projectors, books, resource kits, videos, and more recently equipping the school with two Apple lle computers and printers, thus bringing our school into the computer age. The staff has changed dramatically over the past 100 years. Up until the 1970’s the children were taught by the Sisters of St Joseph, but declining numbers within the Order saw the appointment of Mrs Dot Wallace. The staff has changed dramatically over the past 100 years. Up until the 1970’s, the children were taught by the Sisters of St Joseph, but declining numbers within the Order, saw the appointment of Mrs Dot Wallace, the first lay teacher to be appointed. Mrs Wallace retired in 1974. Sylvie Rose served the school from 1974-1985, making her the longest serving lay teacher at St Joseph’s. The first full-time male teacher was appointed in 1984. Over the past twenty years the school has continued to be an active part of the Uralla community. It has joined in Anzac Day marches and the Railway centenary in 1982. One of the school’s community-minded students, Debbie O’Brien, suggested to the Bicentennary Committee that the statue be erected to commemorate the memory of Thunderbolt. This proposal was accepted, and work has begun on the project as part of Uralla’s Bicentennial celebrations. Debbie and other members of the Uralla Brownie Troupe, were asked to come up with ideas when the Government asked local communities for suggestions on how they would like to celebrate Australia’s 200th birthday. Her ideas was Captain Thunderbolt’s statue and she was thrilled that it was accepted. Thunderbolt was shot on 25th May 1870 by a police constable.